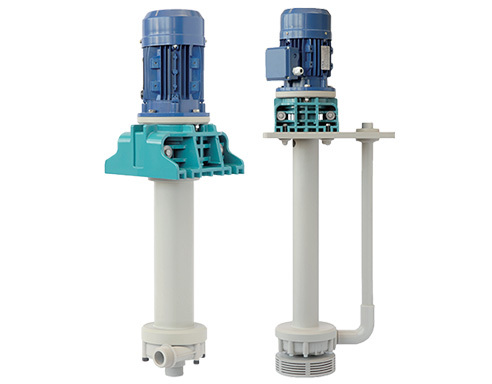 Equipro pumps are made of thermoplastic techno polymers and are close-coupled with the hydraulic suction pipe downward and the tangential outlet pipe on the upper side of the base plate. 2 versions are available with different column length: HME (275 mm and 450 mm) and KME (from 600 mm to 1500 mm). 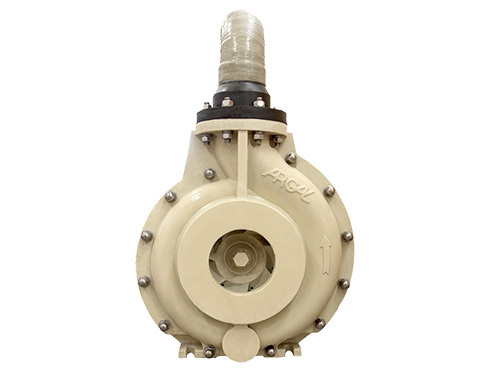 Small magnetic drive pumps available into 5 models with threaded or hose connection. The small size, low noise and the total absence of sealing components make its application ideal and safe in any special equipment and environment. 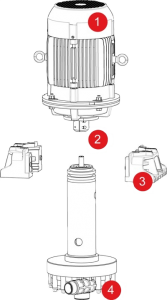 The magnetic drive eliminates rotary seal organs and the related risks of fluid loss in the environment. 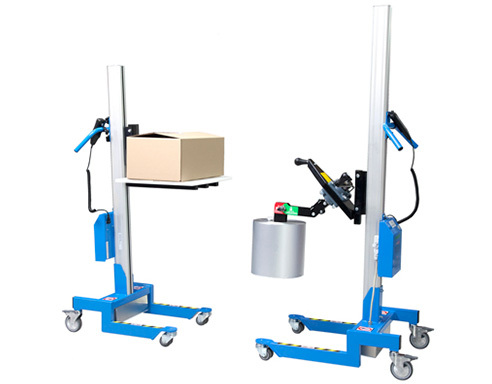 The simple construction base on few components plainly assembled eases any maintenance operation. Basis pumps are ideal for operating in water treatments, ice or drink vending machines. 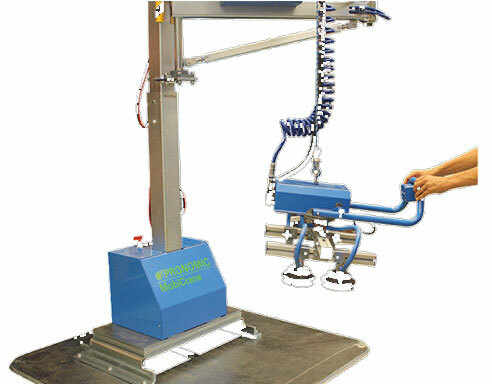 They can pump seawater, fresh water, acids, alkalis and all corrosive or toxic agents. Chemically and mechanically resistant, this thermoplastic polymer is used for Equipro pump to transfer acids, alkalis, detergents or even solvents. Thanks to its properties and dimensional stability, polypropylene is wear-resistant, corrosion-resistant as well as moderately abrasion-resistant. 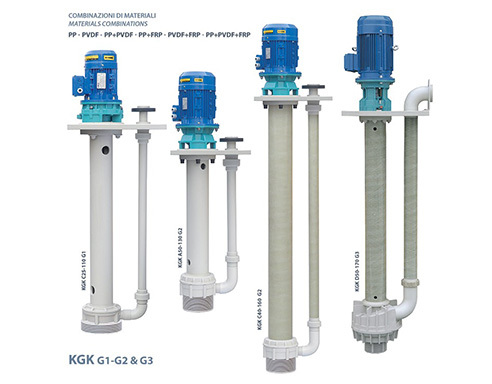 KGK were thought for pumping aggressive liquids and thus were designed to offer a longer life cycle and greater functionalities: there is no need for sealing systems to avoid liquid spillings, various choice of the vapour sealing systems for fitting applications. The gases developed inside the pump are contained thanks to a dry vapour steam seal mounted nearby the base plate and always active, whether the pump operates or not. This standard seal counters pressure up to 60 mbar. For higher pressures, a dry construction or mechanical seal flushed with the pumped liquid is necessary. 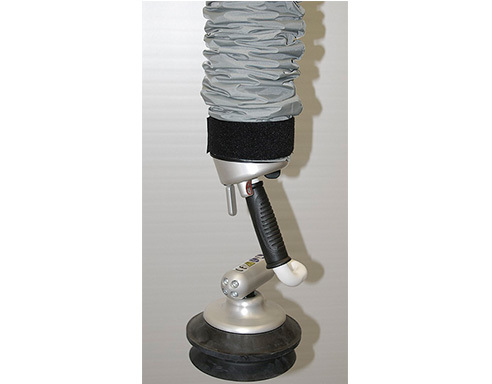 KGK are realised with extremely resistant materials for pumping aggressive, viscous or even corrosive chemical agents. The pump shaft can be long up to 4000 mm. Above 2000 mm, the shaft is held by an additional intermediate bearing. 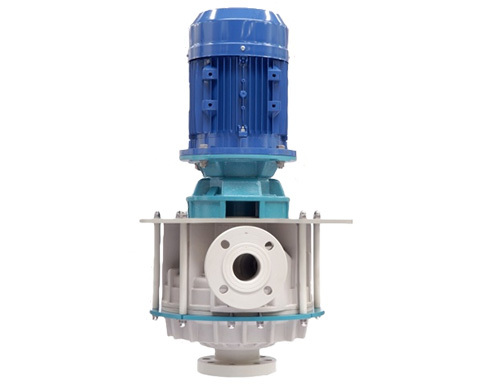 Three versions are available according to the column size and the performance: G1 -2 (radial volute) and G3 (axial fumes). 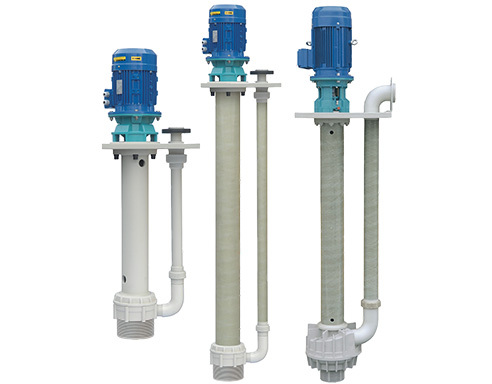 Therefore these vertical centrifugal pumps made of thermoplastic materials can pump acids, hydroxide, salt, high acid mixes, galvanic baths, aromatic hydrocarbons, alcohols, emulsions, sea water or thermal water. These liquids are directly pumped from tanks, basins or even wells with temperatures up to 90°c. Chemically and mechanically resistant, this thermoplastic polymer is used for KGK pump to transfer acids, alkalis, detergents or even solvents. Thanks to its properties and dimensional stability, polypropylene is wear-resistant, corrosion-resistant as well as moderately abrasion-resistant. This special coating version confers a greater strength and robustness which limits probable linear extensions due to variable temperatures of the liquid and of the environment. One of the best techno-polymers known for its chemical and mechanical resistance. Pumps made of E-CTFE can pump any kind of liquid: highly corrosive, abrasive, hard liquids and even with high temperature. Thanks to its structure, E-CTFE offer a superior robustness to pumps and therefore improves reliability and durability. 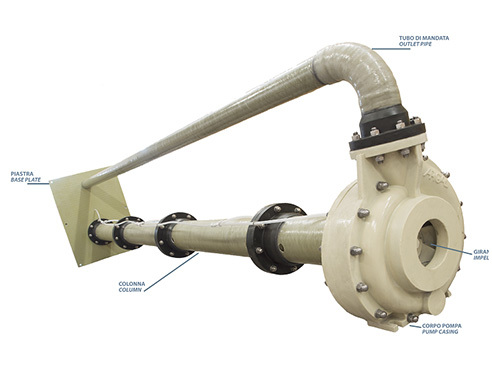 Highly resistant to chemicals and corrosive agents, this special pump was designed to run into waste and contaminated water treatments as well as into the heaviest applications. The entire construction made of fiberglass offers a very high resistance, great robustness and a large range of temperatures from – 35°c to +40°c without damaging the casing’s mechanical strength. The length of the submersible column varies from 0,5 to 5 m.
For liquids with a low concentration of abrasion such as fossil sheel flour, ashes, titanium dioxide.